The NEW Omega Juicer J8006, offers an exciting new look, additional features, and improved technology! Choose above from a brand new model that includes a 15 year manufacturers warranty, or a factory refurbished juicer that includes a 2 year manufacturers warranty. Cosmetic imperfections may be present on a factory refurbished product (including minor scratches), however the performance is equivalent to a new unit, and all factory refurbished products are backed by Omega. The Omega J8006 Nutrition Center Juicer adds FIVE more years of warranty (15 years versus 10 years on the Omega Model 8005 Juicer), an improved auger with super-hard GE Ultem material -- 8 times harder than the Omega 8005 Juicer auger -- a built in handle, and fewer parts to clean. Now you can extract every single drop of essential nutrient from the plant fiber with the help of this Omega Juicer J8006. This mini nutrition center is coupled with forefront dual-stage technology and balanced rotation speed to offer clog and foam-free juices without heating its internal components. Start your Morning with Home-Made Fresh Juice with the Omega Juicer J8006! The Omega Juicer J8006 is an ideal multi-functional Nutrition Center for your kitchen. It chews all the essential plant fibers and extract out the vitamins, enzymes and minerals in the juice. The single gear of this Omega J8006 juicer performs conventional dual-stage chewing and uninterpreted automatic pulp expulsion process that allows you to make various luscious and nutritive juice for your family. The elegant and compact design of this lightweight juicer will surely complement the theme of your kitchen. This noise-free Omega Juicer J8006 has a mighty motor which rotates with an apt speed, so that you can get a full of nutrition juice without any foam, or clogs. Its internal components are combined with unique cooling mechanism that promotes healthy enzymes and keeps the juice nutritive and fresh for extra-long hours. Featuring mightier GE Ultem Auger, the Omega J8006 juicer can easily grind and churn different types of dry fruits, seeds and other in half of the time. You can make nut butters, soymilk, grind coffee beans, make fresh smoothies and much more. The Omega J8006 Nutrition Center Juicer is an ideal way to prepare healthy food at home! Due to its user and eco-friendly design anyone can easily make delectable drinks for the small gatherings everyone will love to have. The Omega Juicer J8006 demands least maintenance. The service I received was absolutely excellent, from helping me with questions about the product to arranging different destination points for the three Omega 8006 juicers I ordered for family members. In fact the representative helped me decide on the closest Fed Ex location near my daughter\'s apartment. Really excellent service. Got this cheaper at Harvest Essentials than anywhere else. Great delivery, well packaged. The juicer itself is wonderful. Not at all loud and functions great. I make juice everyday and immediately put the pieces in a soapy bowl in the sink and they are all super easy to clean. Great purchase. I,m very excited with my J8006. The juices are amazing! Extremely pleased with this juicer. Did a lot of research before this purchase and chose Omega. I went ahead and purchased the Omega which is more expensive, but it works great and I have a 15 yr warranty. Juicing everyday! i have owned this juicer for 8 years . i can't say enough good things about it . i would give it 10 stars it i could. you will never need another one ever. This juicer is a great investment with a reasonable price! Totally love it in the past 2 years, I make apple, orange juice almost every morning to help me start a day feeling fresh, then some veges I usually don't like, now I can juice them! I feel I'm definitely getting more nutrition with it, my skin is getting better and shiny, my general health is improving that I don't feel fatigue often. Have recommended it to a few friends, they love it too! Get this one and you are making a wise investment in your health! This is the best juicer I've tried! If you want to juice leafy greens, this is your juicer. At first I was worried it might be slower than others, but the process is so efficient and clean up is seriously so easy. I can juice all my greens and have it cleaned up in 10 mins with this. Highly recommend for the daily juicers. Price point is high because quality is high. So far, I love this product. The chute is smaller than I expected but has not been an issue at all. It juices everything!! I do have a question. Is the entire front supposed to move around a tad while juicing? I have made sure everything is as tight as possible, so this may be completely normal. Finally a juicer that works. We researched for the BEST juicer and found the Omega. It is truly the answer to our needs. Harvest Essentials and Omega, WOW! This is my first experience with both Harvest Essentials and Omega...I'll start by saying that I did a good bit of research in looking for a good and affordable jucier. The Omega 8006 was the one to get...So, next I went on the hunt for the best price. Hands down, Harvest Essentials had it available for less than anyone. I placed my order, and within a few minutes, I received confirmation of my order, and shortly thereafter I received tracking information. Within a couple of days my juicer arrived in perfect condition. This juicer is great in every respect. I get about 40-50% more juice out of the same amount of produce that I used to get with my previous centrifugal juicer. So easy to use, and so easy to clean...Just awesome! It also feels and looks like a very well made product. I am very happy with both Harvest Essentials and with my new Omega! Great dual purpose juicer. Takes less than 2 minutes to clean the parts after using. I have made peanut butter, soy milk and a bunch of different fruit & vegetable juices. 15 year manufacturing warranty. solid build quality. Should last as long as its well taken care of. surprised at how much moisture this machine extracts, the waste is almost dry. I would recommend this to anyone who is just starting to juice, it will not disappoint. 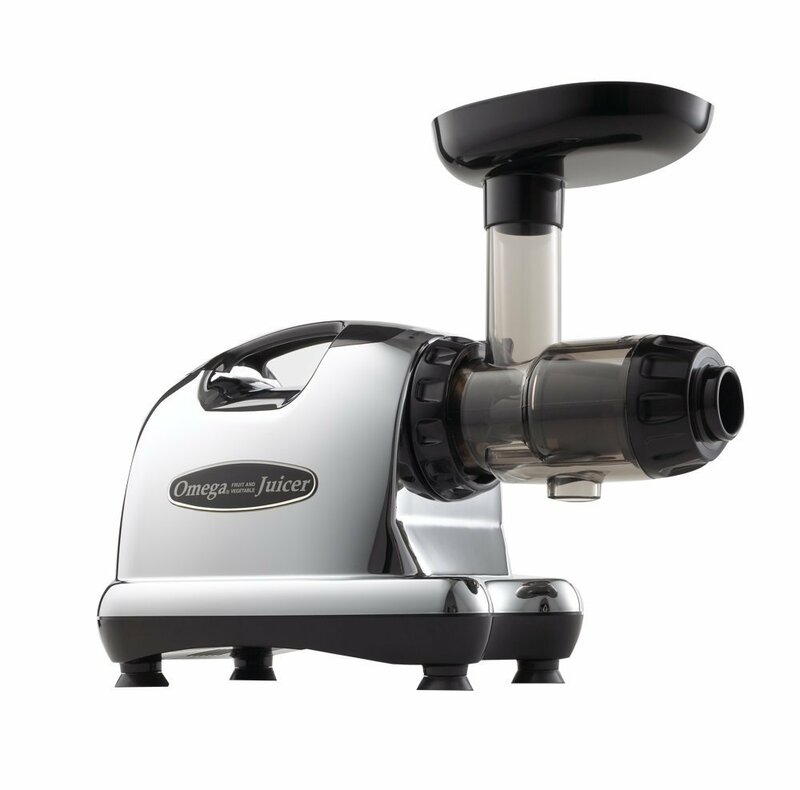 I wanted the best juicer I could afford (for now), after lots of research I went for the Omega 8006. We are very happy with what it can do. I bought this so I could do greens and veggies mainly, & it works great. Thank you for a fantastic shopping experience, fast shipping and exactly what I ordered. This is my second Omega and I think they are awesome, the first one is still running but I bought a second one for my moms house for use when I travel there. I'm new to juicing, but the Omega 8006 has fully met my expectations! Even as a newbie, it's simple to operate, easy to clean (but clean it as soon as your finished using it), and much quieter than I thought it would be. The juice is so fresh and tasty, and the pulp is dry. Two thumbs up! We love our new juicer and are looking forward to improved health benefits from the slow speed juicing process. We are very happy with the solid structure of the machines and the features of our new juicer. It is easy to use and easy to clean. Happy health to all! 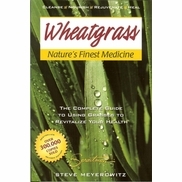 This product is really awesome and I'm glad that I got it at better discount price from Harvest. Really appreciate Harvest for such an inventory of products and for providing at low price compare to any other retailers in the market. Once again thanks to Harvest Essentials for the deal and providing chance to write this feedback. Harvest Essentials offers free shipping and great prices on quality items. Just love my Omega Juicer! This is well manufactured and you can tell it will last a very long time. It defiantly extracts more juice from leafy vegetables like kale, etc. than the less expensive centrifugal juicers but it�s not so great on softer vegetables like tomatoes, berry�s, etc. Overall this does produce much better juice but it is also time consuming, it takes me about 30 minutes or longer to juice. The intake spout is pretty small so you have a lot of prep time cutting everything down to size to fit. I try to make enough juice to last 3-4 days since its a masticating juicer the juice will stay fresh that long versus a centrifugal juicer 1-2 days before nutritional value is lost. If you have the time and patience I would recommend this juicer. It's okay but I wish I had the larger one.Have to spend too much time cutting up the food.....bummer! I have not been disappointed, it does everything it promised, That was a big surprise. Thank you for selling a product that really works.